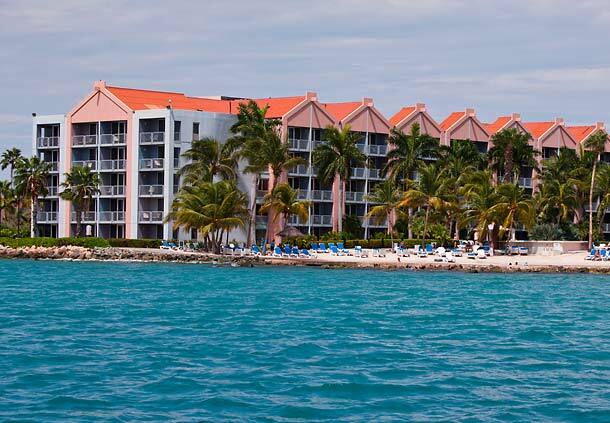 PALM BEACH, Aruba, Sept. 13, 2011, 3:41 p.m. EDT (BUSINESS WIRE) -- The Aruba Marriott Resort & Stellaris Casino is set to unveil a 10,000 square foot, adults-only swimming pool and recreational area. Complete with an expansive terrace featuring plush cabanas and a fully stocked lounge with premium libations, the 1.5 million dollar project will be revealed in November 2011. Conceived with the needs of the Aruba Marriott's guests in mind, the new pool provides more than a place to swim. The coral stone pavement, meticulous landscaping and illuminated pathways with glass mosaic tiles of the adults-only pool area help create a serene ambiance for the space, which is large enough to host group receptions of up to 150 guests. September 1, 2011 marks the beginning of the construction of what will become the Historical Center of Aruba in its capital of Oranjestad. The attractive project, which is part of the current Government’s BoAruba (Your Aruba) program, aims at repairing and rebuilding historic buildings and monuments in the city center within walking distance from the cruise port’s main gate. About 10 million dollars will be invested to build a National Historic Center which will serve as the core place that houses the collection of facts and data about Aruba’s history. The center will complete the current cluster of historical Government buildings that currently house both the Legislative and Executive branches of the island’s Government. The buildings will surround a common Plaza area that will be named after Aruba’s most renowned composer, Mr. Juan Chabaya “Padu” Lampe. Entry into Aruba is fairly simple. You will get off the airplane and follow the people ahead of you to Aruba Immigrations. You will queue in line until you are called up to the booth where you will present your U.S. passport as well as a form you will be given on the airplane to be filled out while en route to Aruba. MAKE SURE you have a pen in your purse or pocket. ORANJESTAD, ARUBA, Sept. 23, 2011, 3:49 p.m. EDT (MARKETWIRE via COMTEX) -- With crystal blue waters, captivating views and comfortable weather, Aruba is the perfect destination for a tropical getaway, year-round. From Frenchman's Pass to the California Lighthouse, when it comes to destination weddings, Aruba also offers a number of unforgettable settings. 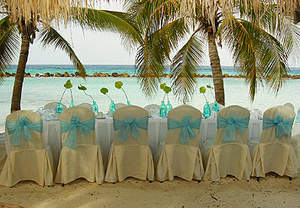 And until December 31, 2012, lucky newlyweds can take advantage of a special offer from the Renaissance Aruba Resort & Casino. November 8th, 2011- Bucuti & Tara Beach Resorts has been voted one of the “Top Resorts in the Caribbean” in the prestigious Condé Nast Traveler: 2011 Readers’ Choice Awards. Regarded as one of the most trusted sources of travel advice globally, the Readers’ Choice Awards polls all Condé Nast Traveler readers to determine the top resorts in the world and stands as the apex of excellence in travel. This year more than 8 million votes were cast in the survey reflecting the combined opinions of 28,876 Condé Nast Traveler readers rating the hotels, cities, and islands they visited in the past year. Comment on the internet: "Very stressed about all of the recent reviews of the Tamarijn!" 3) Having to be in a long line at 7:45 AM to make reservations for restaurants. Menus at the buffet rotate everyday and are repeated every seven days. In other words, what is served on Monday is served the following week on Monday. Yes, maybe repetitive for those who are there for more than 7 days. On the other hand, how many different selections can you have for breakfast? There is a WIDE variety of items at lunch as well, though some are "staples" everyday such as the salad bar. To their credit, the salad bar rotates about 6 offerings though the "toppings", dressings and of course lettuce are always the same. Hot dogs are served daily. If you choose to eat a hot dog everyday it WILL be repetitive.